Bloodletting was used to draw "tainted" blood from a patient, in the hopes that the disease or infection would be extracted out with it. 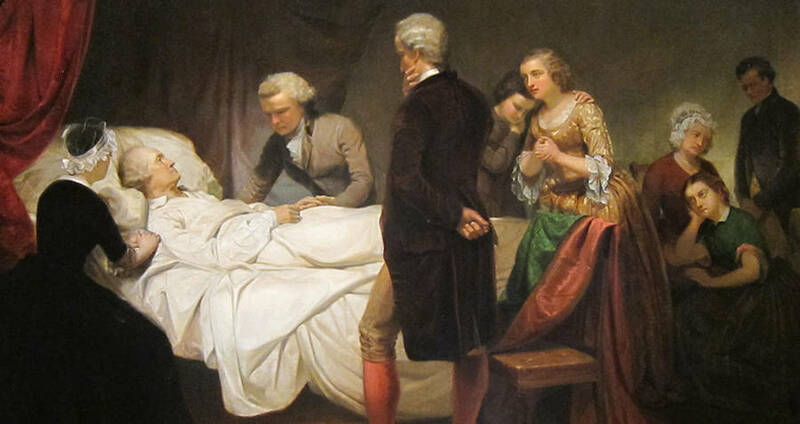 Wikimedia CommonsGeorge Washington on his deathbed in 1799. On Dec. 14, 1799, a doctor was called to Mount Vernon, the home of George Washington. The former president had fallen ill, and was suffering from a fever and a sore throat and was finding it hard to breathe. Immediately the doctor jumped into action, knowing he had to get the infection out of Washington’s body as fast as possible. To do so, he enlisted the help of Mount Vernon’s caretaker, George Rawlins, who was particularly well-versed in a popular medicinal treatment at the time known as bloodletting. Bloodletting, of course, is exactly what it sounds like. A doctor or practitioner creates an incision in the body and draws the “tainted” blood from his patient, in the hopes that the disease or infection would be extracted out with it. And, that’s just what Rawlins did. Over the course of the next 10 hours, no less than 3.75 liters of blood were removed from Washington’s body, in amounts ranging from 12 to 18 ounces at a time. For reference, the average human holds between 4.7 and 5.5 liters of blood. That means that more than half of all of the blood in Washington’s body was removed in the interest of healing. It may seem counterintuitive to take the very thing that gives us life out of us to heal us, but ever since the fifth century B.C., that’s exactly what doctors have been doing. 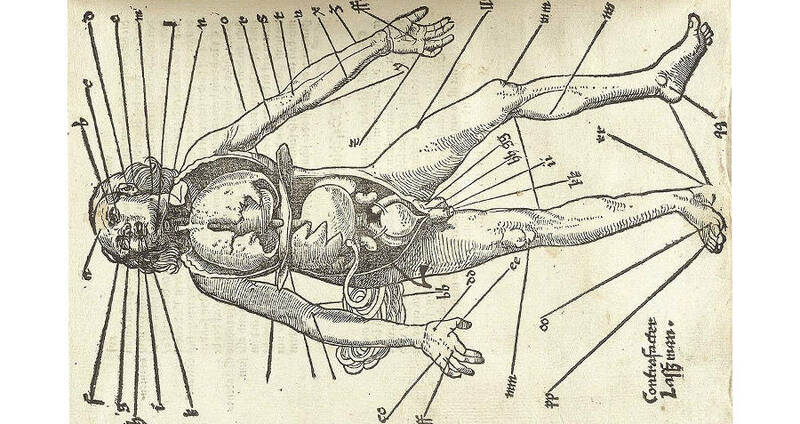 Wikimedia CommonsA diagram showing places on the body good for bloodletting. The first mentions of bloodletting date back to ancient Greece, in the writings of ancient physicians. Most of the physicians, such as Erasistratus, Hippocrates, and Herophilus all theorized that the cause of a range of diseases could be found in the blood. The blood, after all, circulates to the entire body and is the source of life. By that theory, they also believed that diseases could be treated by exercise, sweating, vomiting, and, of course, bloodletting. In the end, bloodletting proved to be the most reliable cure. Later, a physician known as Galen popularized the classical form of bloodletting. He theorized that blood was static, not circulatory as we now know is true. He believed that if it was left too long in one place, it would begin to “stagnate” and go bad. He also believed that blood was one of the four “humors” that created the body, the others being phlegm, black bile, and yellow bile. For perfect health, the four humors must be balanced. To balance them, one need only remove the excess blood from the body, and voila – the balance would be restored. Galen’s theories were so popular that bloodletting became the preferred method of treatment for almost all forms of illness. Eventually, other cultures adopted the practice as well. Through the Middle Ages and through the 18th century, bloodletting practices were mentioned and recorded. Some physicians chose to alter the tactics or add their own spin to fit with beliefs of the region, such as coinciding routine bloodlettings with the phases of the moon for increased effectiveness. By the 19th century, the humoral system so widely touted by Galen had gone by the wayside. Physicians now knew that blood circulated through the body, rather than remained in one place, and believed that there was more responsible for keeping the body alive than just fluids. However, though the beliefs that had started it were no longer used, bloodletting continued to be a go-go for physicians. 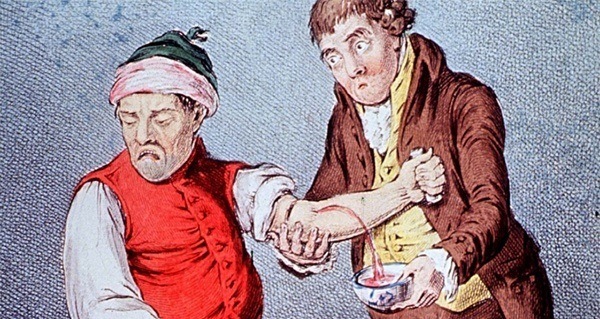 Wikimedia CommonsA doctor using tools to bloodlet a patients arm. Over time, methods were created to make bloodletting easier. The most common was phlebotomy – still the term used for drawing blood today – which involved drawing blood from large external veins such as the arm, by using a needle. Then, there was arteriotomy, where the blood was drawn exclusively from the arteries, most commonly the temple. 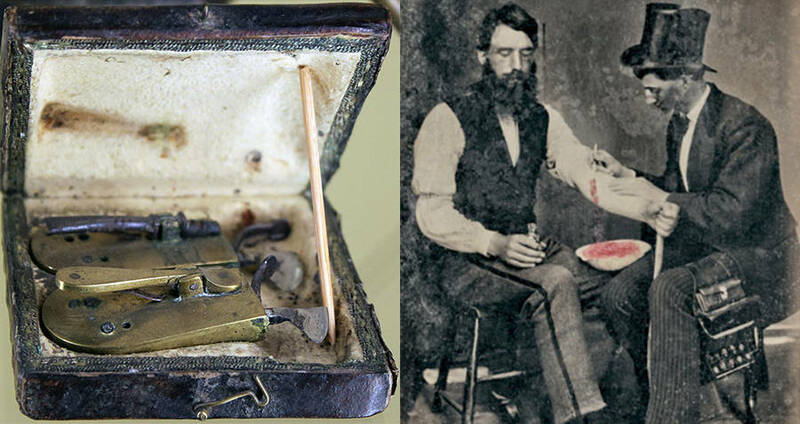 Physicians also employed “scarificators,” a terrifying, spring-loaded mechanism which was used on the tiny superficial veins in the body. 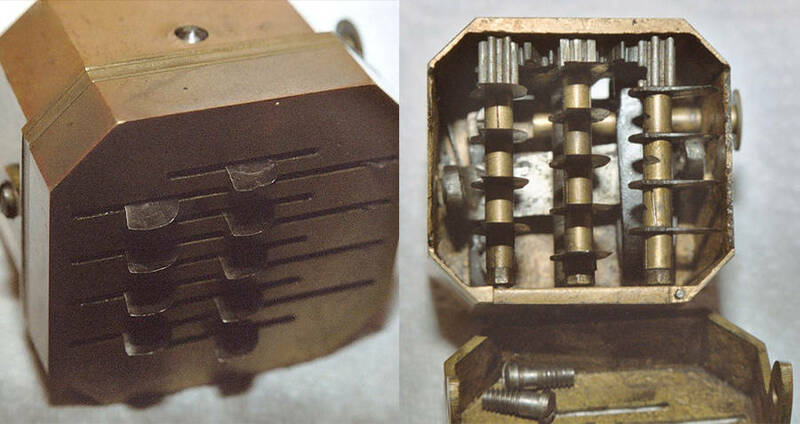 The scarificator contained multiple steel blades, that rotated in a circular motion and could be adjusted to puncture the skin at various depths and at various speeds. The luckiest patients, however, were treated with leeches. In the 1830s, France imported forty million leeches a year for medical purposes. The next decade, England imported six million from France alone. The leeches would be laid on specific parts of the body, where blood was most likely to flow from. After a few minutes, sometimes hours, the leeches would be removed. Occasionally, people would set up repeat visits to leech houses, shacks filled with blood-and-water-soaked dirt where leeches would be kept for medicinal purposes. People would even set up routine visits to leech houses, in the interest of keeping stable, good health. Wikimedia CommonsA scarificator and it’s inner workings. Despite its popularity, the practice of bloodletting eventually waned. By the end of the 19th century, physicians realized that it takes time for blood to renew and that one can, in fact, lose too much of it. It was also revealed that the process could make you more susceptible to infection. By now, bloodletting is considered more harmful than helpful. However, there are still some aspects of medicine that remain that were inspired by bloodletting. Phlebotomy still exists, though it now refers to the safe removal of small quantities of blood for donation or diagnostic purposes. Blood transfusions and dialysis were also born from bloodletting, as they renew and refresh blood from the body. Now, most aches, pains, and colds once treated by bloodletting can now be treated with over the counter remedies. Good thing too – imagine going to the doctor for a headache and being told all you have to do is spend an hour with a leech on your face. Next, check out these five diseases whose origins doctors once got horribly wrong. Then, check out the most painful medical procedures ever.